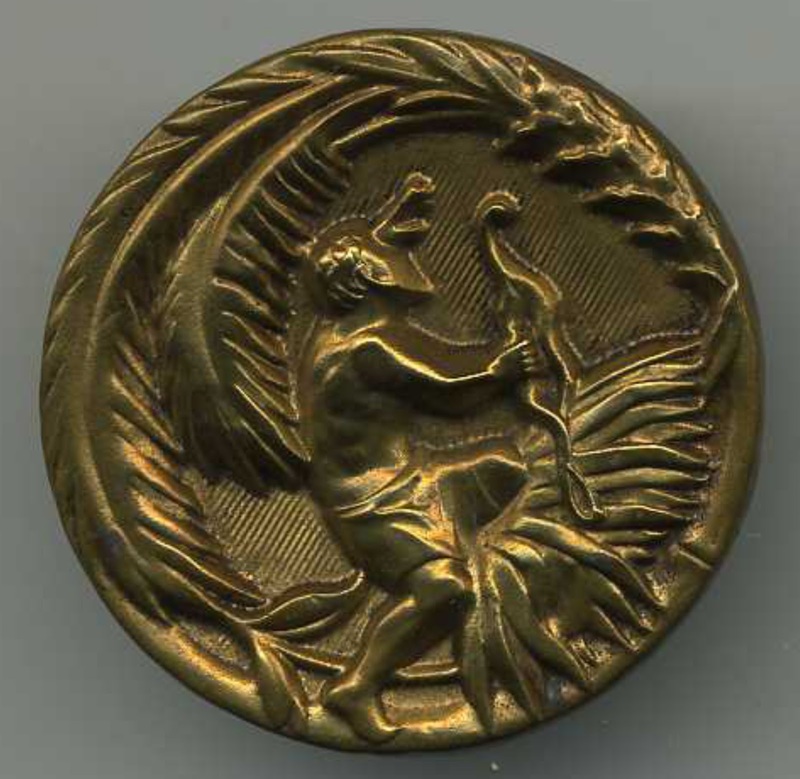 Stamped and cutout brass button on a painted metal liner. Robinson Crusoe is a novel by Daniel Defoe that was first published in 1719. Epistolary, confessional, and didactic in form, the book is a fictional autobiography of the title character (whose birth name is Robinson Kreutznaer)—a castaway who spends 28 years on a remote tropical island near Trinidad, encountering cannibals, captives, and mutineers before being rescued. 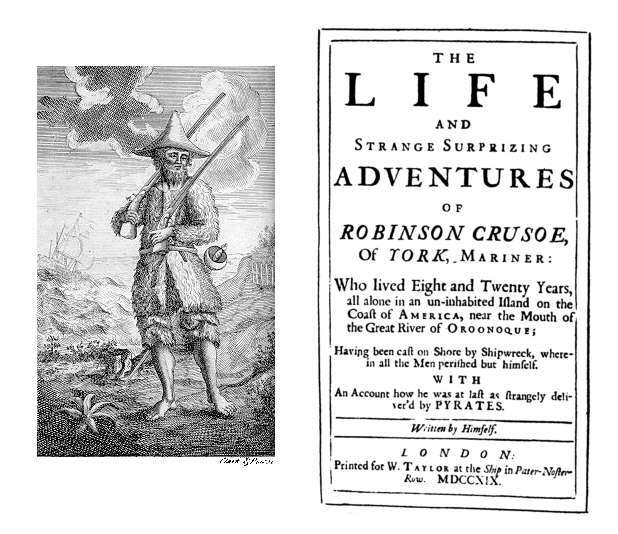 The story was perhaps influenced by the life of Alexander Selkirk, a Scottish castaway who lived for four years on the Pacific island called "Más a Tierra" (in 1966 its name was changed to Robinson Crusoe Island), Chile. The details of Crusoe's island were probably based on the Caribbean island of Tobago, since that island lies a short distance north of the Venezuelan coast near the mouth of the Orinoco river, in sight of Trinidad. It is possible that Defoe was inspired by the Latin or English translations of Ibn Tufail's Hayy ibn Yaqdhan, an earlier novel also set on a desert island. Another source for Defoe's novel may have been Robert Knox's account of his abduction by the King of Ceylon in 1659 in "An Historical Account of the Island Ceylon," Glasgow: James MacLehose and Sons (Publishers to the University), 1911.